Legend Lighting is a full-service lighting and ceiling fan gallery that works with homebuilders, remodelers, interior designers and homeowners to find tailored lighting solutions for residential new construction and remodel projects. Our knowledgeable team of lighting specialists help curate the lighting selections process and ensure the right balance between function and aesthetic. We are a locally owned and operated family company.
. "Zenlightenment" - Brilliant Magazine "The perfect balance of industrial design and Zen aesthetics" - Organic Spa Magazine "Striking a stellar balance, Mike Brannon incorporates serenity, sustainability and soul into his artistic designs at Lightlink" - NHome Texas Magazine "It's difficult to find a word that best describes Mike Brannon's talents - Innate, organic, serendipitous all apply in equal measure to the artist, musician and lighting designer who has taken creative recycling to a new level " - Rachel Benevides / San Antonio Magazine “Mike Brannon creates artful lighting. His company, Lightlink Lighting boasts designs inspired by a Zen perspective,or “a pursuit of something to add serenity to an environment”. Suitable for any contemporary setting, these hand-built fixtures give a high-tech meets organic feel.” - Natalie Bond / Brilliant Magazine "For many artists, it's the stroke of a brush that turns a blank canvas into art. But for jazz musician and artist Mike Brannon, his masterpieces come to life not by paint - but by light" - Heather Ray Karam / SA Business Journal Lightlink is a modern, minimalist, 'Zen / Industrial' style Art lighting design firm using organic, green and sustainable materials and practices in design and construction of our ambient art lighting for the past 15 years. Lightlink has been profiled in over 30 national design magazines including : Enlightenment, Organic Spa, Hospitality Design, Eco-Structure, Architect, Residential Lighting, Architectural Products, Natural Home, Archello, Brilliant, Innovative Home, NHome Texas, FORM, LD+A, Hospitality Lighting, Home Accents, Austin HOME, Austin Urban Home, Phoenix Home & Garden, Houston Chronicle, San Antonio Magazine, SA Business Journal, SA Express-News, Scene etc. Custom designs are always welcome, as we work directly with designers, architects and clients to create what they envision for thier space. Interior Design, furniture, antique showroom Sara Scaglione, owner and designer of Shabby Slips opened her shop in 1994. Over the years her business has grown from a slipcover and custom furnishings boutique into a full service Interior Design showroom where clients can come and experience the classic, timeless interiors that are shown throughout the space. Sara’s design style features materials ranging from elegant and refined to modern with accents of natural textures. Sara’s projects are primarily residential, specializing in a variety of styles including elegant and formal to more causal second homes, to sleek modern high-rises. 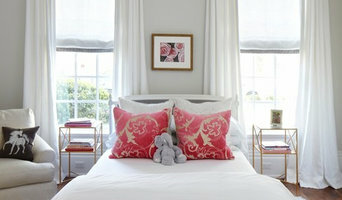 Sara’s work has been featured in House Beautiful and Austin Monthly Home. ILLUMINARIES Lighting offers a vast range of hand-crafted, wrought iron lighting and custom lighting design services. We have been in business for 20 years and our knowledgeable staff and talented craftsmen have completed hundreds of custom projects to our clients’ specifications and satisfaction. We provide the following and ship nation wide: Lighting Design, Custom Interior Lighting, Chandeliers, Pendants, Outdoor Lighting, Craftsman & Contemporary, Finishes & Accessories, Custom Exterior Lighting, Interior Wall Sconce, Exterior Wall Sconce, Electric & Gas Fixtures, Custom Wrought Iron Lighting, Wrought Iron Lighting, Iron Lighting, Spanish Style Lighting, Mediterranean Style Lighting, Rustic Lighting, Mission Style Lighting. We accommodate orders ranging from single fixtures to lighting for the entire home. We also specialize in commercial interiors as well as custom designed lighting. Chandeliers range from $2,500 and up. Wall Sconces $500 and up. Pendants $800 and up. Exterior lighting starting $750. We can customize any order to fit your project and your budget. We do not provide Installation. Premium Home Interior offers designer lighting, ceiling fans, mirrors and other home goods. Our selection of products is hand picked to keep our customers on trend. #lightingSNOBS is a styling agency for lighting. Comprised of lighting designer Vanessa Turney , we specialize in all things lighting. Services include residential and hospitality lighting consultation and specification, visual lighting installations, lighting industry consultation for lighting showrooms and manufacturers, and speaking engagements focusing on fashion lighting trends and applications. Since 1995 Lightcrafters has provided quality, affordable custom lighting to residential and commercial customers throughout the US and the world. We work in copper, stainless steel, art glass, mica and other materials. Choose from our many and varied lighting designs or bring your custom design to us to build. In Austin for over ten years, we provide the most impressive outdoor landscape lighting to highlight the architecture and landscape features of the home. With lighting, we are able to create inviting entrances and curb appeal in the front and enhanced outdoor living spaces in the back for enjoyment well into the night. Our goal is always to provide expert installation for adding safety, security or beauty to any home with economical outdoor lighting solutions. Our work is done with both homeowners and commercial properties in the Austin area. Call us today at 512-247-1815. Wimberley Glassworks is Texas’ premier hand blown glass lighting and art glass studio, creating exclusive glass collections, limited edition vases, sculptures, platters and lighting since 1992. Wimberley Glassworks hosts daily glass blowing demonstrations for travelers and art glass enthusiasts from around the world. The Glassworks' custom lighting designs are featured in luxury and commercial properties throughout Texas. Our free glassblowing demonstrations show the process of crafting molten glass into exceptional art. You'll see artists use a variety of materials to create the brilliantly colored designs displayed in the gallery. Tim deJong - Owner, Head Gaffer: Tim was born in Saskatchewan, Canada. He studied ceramics, sculpture and glass at Alfred University in New York. He holds a Bachelor of Fine Arts with a concentration in glass art from Tyler's School of Art at Temple University located in Pennsylvania. In 1991, Tim came to Texas on vacation and fell in love with the Texas Hill Country. Within a year of his visit, he purchased property and opened Wimberley Glassworks just south of the village of Wimberley TX. Tim is the sole owner and employs three other full time glassblowers. In 2006, WGW moved to a new and larger location. What started as a small shop with a few lawn chairs for visitors to view glassblowing has grown into an air-conditioned shop with seating for 90 people. Tim has built WGW into the Southwest's premiere art glass and custom lighting studio. Wimberley Glassworks collections and lighting can be seen in homes worldwide. 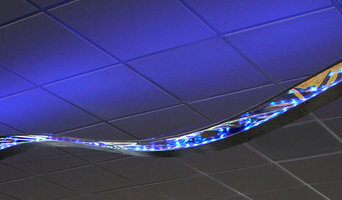 LAWSON GLASS, a full service glass art facility, focuses primarily on large-scale interior installations while also providing solutions for lit, wall-mounted and suspended glass sculpture. Located in the Texas Hill Country, Lawson Glass has proven to be a valuable resource to designers, art consultants, collectors and architects throughout the region. Their state-of-the-art facility, unrivaled in size and capacity, provides ample opportunity for BIG IDEAS to become even BIGGER REALITIES. A well-lit home is essential for both functional and aesthetic reasons. Lighting designers will analyze your Sunset Valley, TX home's layout, structure and needs to create an effective lighting plan throughout your home. Though electrical engineers or interior designers can take on the task of outfitting your home with the appropriate lighting, a professional Sunset Valley lighting designer explores lighting as a technique. Think about how you plan to use each area of your Sunset Valley, TX home. It's important to communicate to your Texas lighting designer which space will be used as an office and which will be a media room, for example, as these will require very different lighting methods. In addition, consider how you'd prefer to control the lights. Lighting technology today includes dimmers, sensors, photocells (that let lights react to the amount of daylight in a space), programmable scene controls (that let you program different settings for varied lighting) and whole-house lighting controls (that let you control all or a portion of your home's lights from one source), allowing you to tailor your lighting controls however you wish. Find a lighting designer on Houzz. 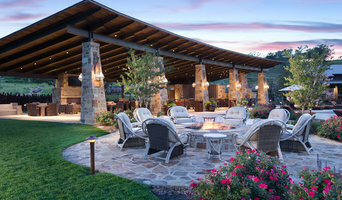 Narrow your search in the Professionals section of the website to Sunset Valley, TX lighting designer. You can also look through Sunset Valley, TX photos by style to find a lighting design you like, then contact the designer.